Santa Cruz Island, Galapagos Islands, Equador. 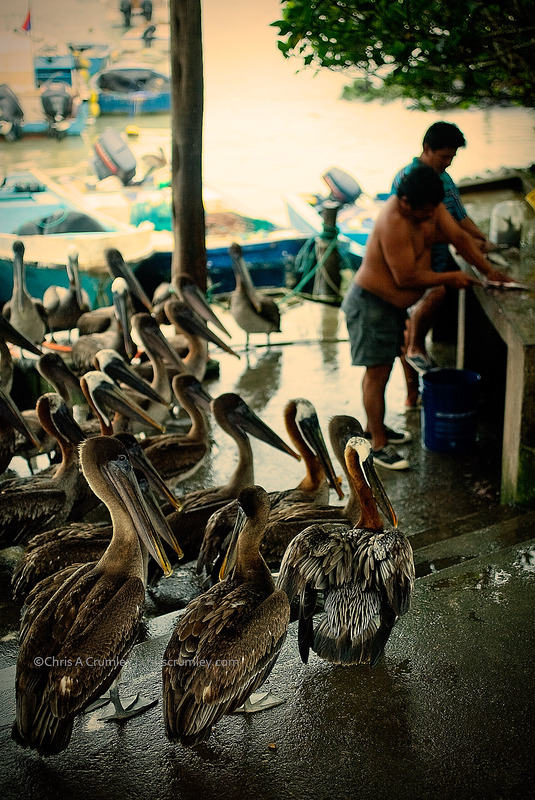 Pelicans paying close attention to fishermen cleaning catch. Julie Andersen's photo at Darwin's Arch earlier today reminded me of what an incredible place it is. The water and the arch look exactly like I left them.